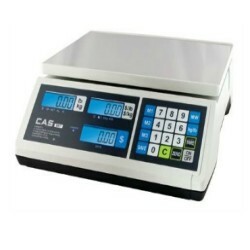 The ER JR is an affordable digital price computing scale with 30 lb capacity from CAS Corporation. NTEP legal for trade, small and compact and operates on AC or rechargeable battery power. The scale has four adjustable feet and a display on both front and the back so both the operator and the customer can see the weight and price per pound. Take all the guessing out of pricing your fruits and vegetables with the CAS ER Jr series price computing scales, a general purpose computing scale for direct sale of commodities in stores such as supermarkets, delicatessens and groceries. Designed for portable use with AC power and built in rechargeable battery, the ER Jr certified scale is ideal for farmers markets, sandwich shoppes, bakeries, candy and coffee shops, convenience stores, produce markets, hardware stores and more. Features a 30 pound capacity. The ER Jr is completely portable with the built in rechargeable battery which lasts up to 200 hours (without backlight) on a single charge. 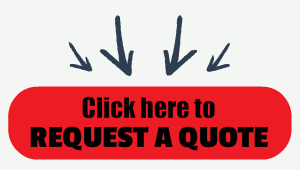 A low battery indicator lets you know when it is time for a charge. The ER Jr legal for trade produce scale has a small footprint at 11.75 inches x 12.75 inches and will fit easily on counter tops, tables or any tight workspace. With best in class features and an affordable price, you can place multiple ER Jr price computing scales throughout your business to ensure customer satisfaction and maximum profitability. Additional standard features include lb/kg unit switching and three different methods to enter a tare weight: platter tare, keyboard tare, and programmable tare for a PLU. The ER Jr will be a perfect choice for start up businesses, farmers markets, outdoor markets, candy stores and more.